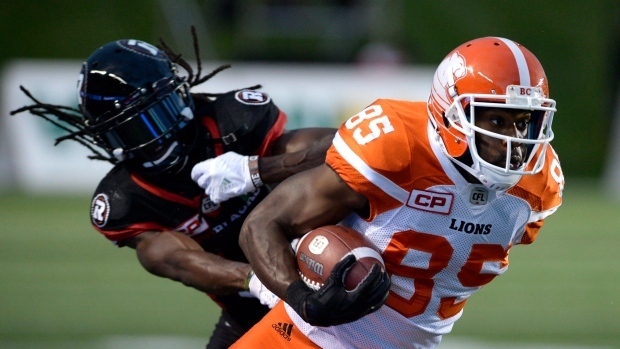 National receiver Shawn Gore is retiring, the BC Lions announced Thursday. Gore, 30, spent his entire seven-year career with the Lions, finishing with 307 receptions for 3,911 yards and 20 touchdowns. The Lions drafted Gore in the second round in 2010 and the Bishop’s product joined the team later that year after attending training camp with the Green Bay Packers. Gore helped the Lions win the 2011 Grey Cup. This year's CFL Draft is Sunday and can be seen live on TSN and TSN GO starting at 7pm et/4pm pt.